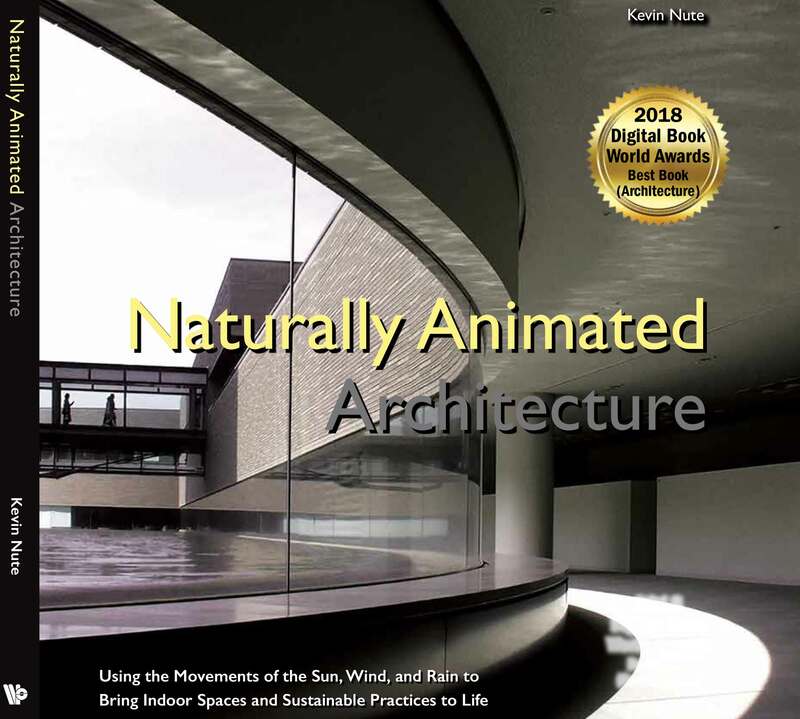 “As with the sounds of wind, sounds created by rain can change from the poetic to the jarring, depending on its strength and the kind of materials it encounters,” Professor of Architecture Kevin Nute writes in his newly published book Naturally Animated Architecture. The book’s text is combined with infographics and beautiful animated images like sunlight moving across a room throughout a day and rain falling on a glass roof. Digital Book World recently awarded the title best architecture book in the 2018 Digital Book Awards. Naturally Animated Architecture examines how natural movements and elements can inform buildings, material use and sustainable living. The book is available in both electronic form and print, which is accompanied with embedded videos that can be viewed with a smart phone. The Oregon Humanities Center supported the book’s digital components and will assist Nute with his upcoming work Building Time: Temporal Cues in Architectural Spaces (Routledge, 2021).